These days, it’s hard to find an appliance brand that is more popular than General Electric. GE is known for creating durable and fairly priced kitchen and laundry room equipment. If you are looking for a technician to handle your GE appliance repair in Oshawa, Ontario, you have come to the right place. Our team has the expertise and training to service all types of major appliances. 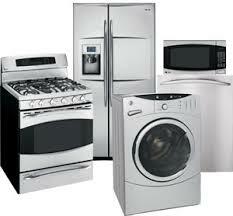 So don’t waste your time and arrange your General Electric appliance repair right away. You will be glad you did! It would be great if your home appliances could last your entire lifetime. Unfortunately, even reliable GE appliances need servicing from time to time. When any problem emerges, get in touch with Appliance Repair Oshawa. 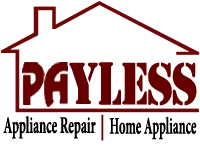 Our team is available for same day service all over the area. All of our technicians have a vast experience in GE home appliance repairs. No matter if it’s a fridge, freezer, stove or dryer that is giving you troubles, we will fix it in the most effective way. With a large inventory of factory authorized parts at our disposal, our certified GE technicians in Oshawa can complete most repairs in a single appointment. Not only do we offer professional GE appliance repair but routine maintenance program as well. The service is tailored to prevent any problems before you have to deal with a major breakdown. By performing a thorough diagnosis on your equipment, we will detect all minor issues and address them right on the spot. With our annual check-ups, you will forget about unexpected General Electric home appliance repairs for years to come. Feel free to turn to our company for your GE appliance repair Oshawa needs. Whatever the problem is, you can count on us to resolve it fast and at a reasonable price. Just give us a call today and we will take care of all your GE appliance repair concerns in Oshawa!